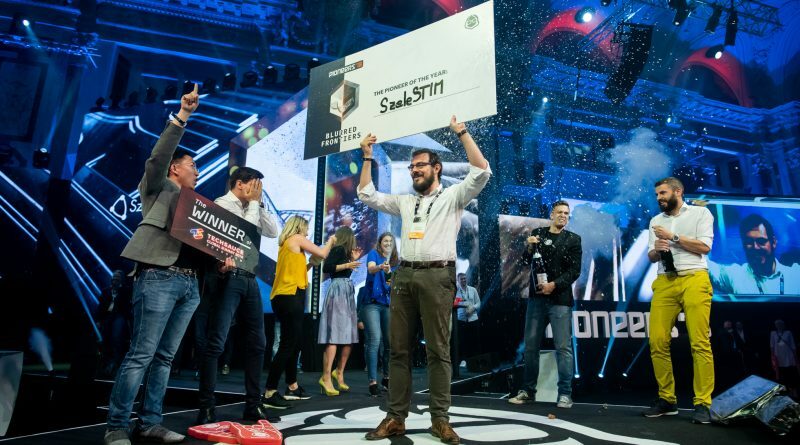 SzeleSTIM beat off 50 startup challengers to emerge as the winner of the coveted Pioneers Challenge Award at Pioneers’18 yesterday. Having developed a wearable earpiece designed to deliver customizable chronic pain treatment, they’ve won a networking trip to Silicon Valley, plus a trip to South East Asia to pitch at the Techsauce Global Summit. Our flagship event, which ran over the last two days in Vienna’s Hofburg Imperial Palace, saw over 2,500 tech innovators, 550 startups and a host of top speakers come together to tackle key global issues and showcase high-impact innovation under the ‘Blurred Frontiers’ theme. Pioneers’18 also showcased the pioneering work of Pierre Barreau in its official theme tune. The event featured top international speakers such as Amazon CTO Werner Vögels, Google Arts & Culture Program Manager Suhair Kahn, Electronic Arts Co-Founder Jeff Burton, the co-creator of the Lilium Jet Vertical Take Off and Landing craft Patrick Nathen, and video game entrepreneurs and investors Emmett Shear and Alexis Bonte. Pioneers’18 began with a bang as Aaron VanDevender kicked off proceedings on the new-look Arena Stage with his opening keynote about the intersection of humanity and technology. He’s Chief Scientist and a Principal at Founders Fund, which believes in investing in entrepreneurs pursuing the most ambitious technical challenges. Amazon’s Chief Technology Officer Werner Vogels, the man responsible for driving the company’s customer-centric technology vision, outlined the growing power of voice systems such as Alexa to reach the greatest numbers of people, irrespective of literacy or language. And he urged those founders in attendance to consider this in their strategies. Web 3.0 - gondolkodni is fog?